Attention: Mr. Harlan Kelly, Jr.
We are writing regarding the solicitation of the above mentioned CS-109 project. More specifically, we are concerned with the extremely stringent requirements of qualification which precludes small businesses and micro businesses from responding to the subject Request for Proposal (RFP), as follows. "To qualify as a Non-Lead JV Partner for this RFP, a Proposer must possess the experience requirements stated below to be eligible for an award under this RFP. If a Proposer fails to meet all of the experiences requirements set forth as described below, its response package may result in a determination by the SFPUC that the submittal be deemed non-responsive and rejected. Management Capabilities: Proposer must possess strong capabilities and demonstrated experience in management of multiple projects and tasks, and management of multiple subconsultant teams." Council of Asian American Business Associations is concerned with the qualification requirements as specified in Bullet Nos. 1 and 2. A minimum of 15 years individual experience in performing multi-disciplinary technical and engineering services for major water and/or wastewater infrastructure projects is required in the RFP; however, it does not specify the level of experience and responsibility. A requirement of being in business for minimum of 5 years is called out in the RFP; however, there is no rationale in putting forth this requirement. Sometimes, an individual with a mere 5 years responsible experience in these major projects could be more qualified than an individual with 15 years of experience in performing mundane type of work on these major projects. Additionally, there is no basis to require a responding firm to have been in business for a minimum of 5 years provided the firm can meet the technical qualifications and the professional insurance requirements. In other words, it is our opinion that the years of individual experience and years in business requirements are strictly arbitrary and do not have any merit. The requirements as stated for the NON-LEAD JV PARTNER discriminate against Local Business Enterprises, as defined under City Ordinance 14B, and discriminate against small emerging businesses by imposing the number of years in business. There is no correlation between capabilities and the number of years in business. The Commission is seeking professional services, not the years of services with a given firm. Professional services are provided by the individuals (employees) retained by the firm as well as the owner(s) of the firm. Individuals or employees come and go as the business cycles dictate. Being an "old time" firm does not guarantee superior services or quality than that of an emerging firm. We request that the Commission eliminate the discrimination act by removing the firm qualification requirements of years in business, in particular for Local Business Enterprises. We appreciate your attention to this matter. If you have any questions or require additional information, please contact the undersigned at (415) 788-8627. AAAE President Kendall Young welcomed over 100 attendees at the organization's April 2010 event. He cited that one of the AAAE goals is to be an advocate for increasing A/E business opportunities for the small businesses, including minority and woman-owned, in the Bay Area. The Program Chair, Winifred Au, introduced Assemblywoman Fiona Ma and representatives of the prime consulting firms providing Program Management and Regional Design for the California High Speed Rail Project (HSR). Among the speakers were Assemblywoman Ma, Speaker pro Tempore, the California HSR Authority's (CAHSRA) Deputy Director Dan Leavitt, Jim Bourgart and Dominic Spaethling of PB (Program Management), Brent Ogden of AECOM (Regional Design), Robert Sergeant of Parsons (Regional Design), and Peter Gertler of HNTB (Regional Design). Leavitt also stated that the CHSRA recognizes California's diverse mixture of cultures and interests and notes that the proposers need to be sensitive towards reaching and including these populations when developing their teams. 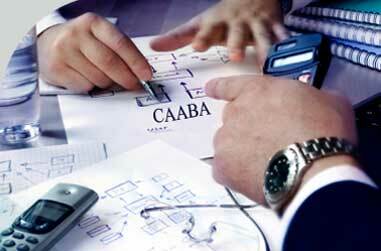 The CHSRA will follow state and federal contracting SBE/DVBE and DBE guidelines for design and construction contracts. Los Angeles – Anaheim - STV Inc.
Dear Governor Riley: President Obama and I are committed to ensuring that the opportunities created by our Nation's investments are shared by all Americans. To make that vision a reality, I believe it is vital that we work together to provide small disadvantaged businesses and female and minority workers a fair chance to participate in transportation projects. I urge you to take advantage of existing equal opportunity programs and resources and to create innovative strategies to provide opportunities for the underrepresented. The U.S. Department of Transportation (DOT) stands ready to assist you in those efforts. The Department's Disadvantaged Business Enterprise (DBE) program supports entrepreneurs — people who create jobs. It helps small businesses owned and controlled by socially and economically disadvantaged individuals compete. The DBE program applies to projects funded both from traditional DOT sources and from the American Reinvestment and Recovery Act of 2009 (Recovery Act). I encourage you and your local partners to use proven strategies, such as unbundling large projects and establishing and meeting realistic DBE goals, to reach a greater number of DBEs. We have other resources to help you. Training and technical assistance, like that through the Federal Highway Administration's supportive services program, are available to you. The Department's Office of Small and Disadvantaged Business Utilization operates short-term lending and bonding assistance programs to help small businesses overcome barriers to participation, and it has recently begun a training program for women and girls interested in transportation careers. Federal highway and transit funds may be used for educating and training public sector employees. Federal highway funds also may be used to support on-the-job training programs forcontractors. I hope that you and your local partners will take advantage of this flexibility in the use of your Federal funds, including on Recovery Act projects. In addition to the programs administered by my Department, other agencies throughout the Federal Government support these efforts. For example, the U.S. Department of Labor's Office of Federal Contract Compliance Programs seeks to ensure equal opportunities for underrepresented groups, such as women and minority workers, in recruitment and hiring on construction projects, including projects in the transportation industry and projects funded through the Recovery Act. Existing programs may not be sufficient to ensure the broadest possible participation in Recovery Act projects, but I encourage you, along with your State and local leaders, to consider innovative approaches to these challenges. Some States, for example, have used their transportation projects as an avenue to increase DBE participation while developing a workforce that better reflects the diverse skills, talents, and backgrounds of American workers. They have created partnerships among community organizations, local elected officials, trade unions, contractors and their associations, and other public agencies to identify common expectations and set specific project objectives. One State created a DBE Advisory Committee to track the progress of DBE involvement and to provide a level playing field for DBE contractors. Through financial institutions, the State arranged for bonding and working capital for DBE firms. Another State encouraged on-the-job trainee applicant referrals from a diverse range of community-based partners, including its minority community-based partners, which resulted in many local hires entering the construction trades. Other States and localities across the country may learn from and adopt models of this kind. I encourage you and other States to share your ideas with us, so that we can help others learn from your experiences. Private-sector efforts are important as well. I urge you to encourage large successful contractors to create opportunities for joint ventures with small disadvantaged businesses and to support mentor-protégé relationships to pass along the knowledge and skills needed to succeed long term. I also ask that you actively promote efforts by bonding and insurance companies and lending institutions in your State to take steps to overcome typical barriers that impede small business competitiveness. Using all available talent and resources is essential to fueling a strong recovery and restoring our Nation's economic competitiveness. My Department is committed to helping create opportunities for DBE firms and all workers, including women and minority workers, to participate in this economy of the future. I am asking you and all your private- and public sector partners to consider adopting strategies like those outlined in this letter, as well as additional, more specific ideas that we in DOT would be happy to discuss with you. These strategies will help create business and job opportunities that will make our country more economically competitive and strong. Thank you for your dedication to these important goals. If I can provide further information or assistance, please feel free to contact me. On behalf of the California Department of Transportation, District 4 (Caltrans) and the Associated General Contractors of California (AGC), we would like to invite you to apply to participate in the AGC-Caltrans Mentor-Protégé Program. This joint effort by AGC and Caltrans is designed to assist small construction companies that may be new to the industry to develop the skills, relationships and infrastructure needed to prosper in the public works arena. The goal of the program is to increase the number of companies that are able to successfully bid and complete public works projects in general, and Caltrans transportation improvement projects in particular. This program is consistent with the Governor's Executive Order No. S-11-06 to increase the participation of Small Business (SBE) firms and Disadvantaged Business Enterprises (DBE) in the procurement and contracting of public works projects. Minority-owned, women-owned and disabled veteran-owned businesses are strongly urged to apply. If accepted into the program, applicants may be matched up with a mentor firm that has a proven track record of success in public works contracting. The mentor and protégé will be expected to attend all meetings, review relevant business documents provided by the protégé, recommend areas for improvement and follow-up on mutual agreements for action. The program sponsors, Caltrans and AGC, will be monitoring the progress of all protégé and looking for indicators that the protégés are benefiting from the program, such as increases in your working capital, bonding capacity and other key areas. This is a two-year commitment and includes a free membership to Associated General Contractors of California. Participants will also receive a free AGC Safety & Health Program Development Manual (a $225 value), which includes six essential safety programs for contractors, plus a free consultation with the AGC Director of Safety & Health. Make no mistake: participation in the mentor-protégé program is not a gift — it's an opportunity that requires you to commit your time and effort to get the most out of it. Specifically, protégé accepted into the program will be required to attend all meetings, present up-to-date and complete business information, implement changes mutually agreed upon and request assistance as necessary. A means for a mentor or a protégé to receive any preferential treatment in the awarding of public works contracts. A guarantee that a mentor or a protégé will be successful in construction. A way for protégé firms to learn valuable lessons about how to run a profitable construction company in the unique public works market. A way to encourage the formation of new relationships in the industry. A way for mentor firms to contribute to the creation of a diverse pool of construction companies to promote the long-term health and credibility of the industry. Please complete the Mentor-Protégé application and return it to the address provided. All applications will be screened, and you will receive notification if you are admitted to the pool of protégé candidates. Any questions should be directed to Mr. Bonny Nyaga of Caltrans at (510) 286-5849 or via email at bonny_nyaga@dot.ca.gov. To be considered for the first pool of applicants for the mentor-protégé program, we must have your completed application no later than October 10, 2008. Thank you in advance for your interest. With your help, we will build the critical infrastructure projects Californians expect and deserve, with the broadest business participation possible. Click here for the letter and application in PDF. August 06, 2008. The Northern California Chapter of the Conference of Minority Transportation Officials (COMTO) recently announced its 2008 award recipients who will be recognized at its Fourth Annual Industry Awards and Recognition Reception on Thursday, August 14, 2008, 6-8 pm, at the Carnelian Room Banker's Club, Bank of America Building, 555 California, San Francisco, CA. Proceeds from the event support COMTO's Scholarship Program, which will provide nearly $30,000 to assist minority college students in the bay area. Lifetime Achievement Award. Hon. Supervisor Sophie Maxwell, San Francisco County Board of Supervisors and San Francisco County Transportation Authority Board of Commissioners, is being recognized for her commitment to true social and environmental justice principles in local governance and her role in ensuring a strong vocal voice for community participation in the construction of the Third Street Light Rail Project. Employer of the Year Award, Public Sector. Bay Area Rapid Transit District is being recognized for its leadership in expanding opportunities and career advancement for women and minorities throughout the BART organization and its leadership in optimizing contracting opportunities for minority and women businesses. Employer of the Year Award, Private Sector. Lea + Elliott, Inc., a renowned rail transit consultant firm, is being recognized for its leadership in employee diversity and active participation and support of COMTO. Employee of the Year Award. Z. Wayne Johnson, Deputy General Manager, Administration and Development, Golden Gate Bridge, Highway and Transportation District, is being recognized for his 33 year track record of competency and leadership in the transportation industry. Minority Business Enterprise of the Year Award. Yerba Buena Engineering and Construction, a local contractor with offices in Hunter's Point, is being honored for its ability to build a successful company in 6 years and for its strong leadership and commitment to assisting other bay area minority contractors. Special Recognition Award. Asian American Engineers and Architects will be recognized for its advocacy of equal opportunity for minority, women-owned and small businesses on national, state, and local levels. President's Award. Felicia Bell, Subcontracts Formation Supervisor, Bechtel Corporation, will be honored for her exceptional contributions to COMTO's fundraising efforts. In addition to the Awardees, the Reception attracts a “whose who” of transportation officials in the bay area, including dignitaries who serve as Honorary Co-Hosts and present the awards. The Honorary Co-Hosts this year include the chairpersons of the Boards of Directors or Commissions of most major bay area transportation agencies including Supervisor Rose Jacobs Gibson, ABAG; Gail Murray, BART; Rev. Dr. James McCray Jr., SFMTA; Supervisor Bill Dodd, MTC; Kimberly Brandon, Port of San Francisco; Nathaniel Ford, Transbay Joint Powers Authority; Darlene Ayers Johnson, Port of Oakland; Christian Peeples, AC Transit; Supervisor Alice Lai Bitker, ACTIA; Charlene Haught Johnson, Water Emergency Transportation Authority; and Forrest Williams, Santa Clara Valley Transportation Authority. The cost of the event is $50 COMTO members and $60.00 non- COMTO members. RSVP by August 11, 2008 to 510-287-4700 or or pay online at www.comtonorcal.org. The Northern California Chapter of COMTO was established to promote the growth and development of minorities in the transportation industry in the bay area. COMTO's membership includes transportation officials from most of the major transportation agencies and transportation related business sectors in the Bay Area. The Annual Industry Awards and Recognition Program and Scholarship program continues COMTO's mission of demonstrating leadership in supporting minorities in transportation, community partnering, equal opportunity and diversity. On behalf of the Asian American Architects and Engineers (AAAE), an association that represents a vast number of small, local and minority architectural and engineering firms located in the San Francisco Bay Area, I am writing to express our concern regarding the structuring of the upcoming Request For Proposal for the Final Design phase of the Central Subway project. The Asian American Architects and Engineers was founded in 1978 by San Francisco Bay Area design professionals with the goal of increasing contract opportunities for Asian Americans in the design and engineering fields. The mission of AAAE is to represent Asian American design professionals and speak with one voice on issues affecting its membership, the profession, and the community as a whole. During the past several months, the Asian American Architects and Engineers have been actively participating in the procurement process of the PM/CM contract. These include providing input and criteria on the Request for Proposal (RFP) regarding breaking up the PM/CM contract into smaller components to facilitate the participation of the small businesses located in the City and County of San Francisco. It has been our position that a 7-year, 88 million dollar contract for both Program Management and Construction Management is not warranted at this time. In particular, there is no need to commit a single firm, at this early stage of the design phase, to provide construction management for what could potentially be many contracts. We recognize that there is a need and benefit to having construction management capability in the project management team to provide advice on constructability issues and phasing issues, among others; however, we do not agree to having one firm provide all of the construction management services for the Central Subway project. Several large, high-profile projects in the San Francisco Bay Area have been successful in awarding contracts for smaller components. For the recently completed expansion program of the San Francisco International Airport, the construction management was handled by different, various size firms for each of the construction contracts. The construction management services for the current construction of the east span of the San Francisco Oakland Bay Bridge was broken into smaller components by discipline. Caltrans also broke down the entire bridge replacement project into several smaller components; various firms handled the construction management of each of these small components. Needless to say, we are extremely disappointed in the management of the San Francisco Municipal Transportation Agency for keeping the scope of services for the PM/CM RFP intact. For the upcoming procurement of the Final Design phase of the Central Subway project, we request your consideration in breaking the subject project into many smaller projects, to facilitate the participation of Small Business Enterprises (SBE) located in San Francisco and Disadvantaged Business Enterprises (DBE) as prime consultants as well as subconsultants. This would not only provide contract opportunities for DBEs and San Francisco based SBEs to lead the design team for the smaller projects as prime consultants, but also would provide more subcontract opportunities to additional DBEs and San Francisco based SBEs. In addition, this would provide invaluable experience for the DBEs and San Francisco based SBEs to grow and become prosperous within the San Francisco business community. We believe that it is the responsibility of the government of the City and County of San Francisco to retain these businesses, in particular small businesses within the City boundaries and the work force in San Francisco. It is our opinion that the four stations, in addition to other components, along the route of the Central Subway project could be and should be unbundled from the Final Design phase. The larger stations can be further divided into smaller components, such as entry portal, concourse interior, platform, etc. These four station contracts, along with other smaller components, should be awarded to DBEs and San Francisco SBEs as prime consultants. We also believe that these are best suited for our member firms, some of which designed the projects for the San Francisco International Airport expansion as prime consultants. We are prepared to review these and other smaller projects with the management of the San Francisco Municipal Transportation Agency to arrive at an equitable solution for the participation of DBEs and San Francisco based SBEs as prime consultants and subconsultants. In summary, we respectfully request the management of the San Francisco Municipal Transportation Agency to unbundle the Final Design contract for the Central Subway project. Not only is it good for the City, but the City has a moral obligation to outreach to the San Francisco based SBEs. If you have any questions or require additional information, please contact me at (415) 552-1118. Thank you for your time and consideration. Click here for the letter in PDF form. The Small Business Administration offers a variety of classes for business owners in our Entrepreneur Center, located at 455 Market St., 6th Floor in downtown San Francisco. SACRAMENTO - State Controller John Chiang today asked the nation’s first and second largest public pension funds to lead an effort to increase women and minority representation on corporate boards. "Across the nation, the faces of companies’ shareholders are rapidly changing, and in order to tap into a wider range of talents and ideas, corporate boardrooms should reflect this changing diversity," Chiang said. "I am asking that CalPERS and CalSTRS leverage their leadership in corporate governance and diversity initiatives to help women and minorities increase their representation on corporate boards." In letters to the CalPERS and CalSTRS Investment Committees, Chiang wrote women and minorities continue to be underrepresented on corporate boards nationwide, despite widespread acknowledgement that diversity strengthens a healthy corporate structure. Chiang cited a 2005 report from the Alliance for Board Diversity that found women and minorities hold fewer seats on the boards of Fortune 100 companies when compared to general population demographics for race and gender. Institutional investors have acknowledged that diverse corporate boards are necessary to properly represent shareholders and maintain a competitive edge in global markets. The CalPERS Core Principles of Accountable Corporate Governance recommend that corporate boards consider a mix of director characteristics and diverse perspectives when nominating directors, and also suggest that boards should include members from historically underrepresented groups. "Diversity in the boardroom leads to greater creativity, dynamic debates, and more integrity of processes - all of which are strong traits for a board and good corporate governance practices," Chiang added. Chiang is recommending that the pension funds study the most recent available data on board diversity and consider amending its corporate governance policy to address diversity when the funds nominate directors, establishing best practices for corporations to follow in seeking diversity, and actively engaging companies on the issue of diversity, including filing shareowner proposals that address diversity when appropriate. As California’s Controller, Chiang is a board member of both CalPERS and CalSTRS, the nation’s two largest public pension funds with more than $413 billion in combined assets. Copies of Chiang’s letters are available here. Sacramento -The California Department of Transportation (Caltrans) has authorized 13 emergency contracts with a total value of $17.05 million for essential work related to the recent firestorms in Southern California. Small businesses will receive 45 percent of their total value. One of the small businesses is Blaisdell Construction, which will repair fire damage, clear drainage systems, and perform debris removal and erosion control around Interstate15 in San Bernardino County, as quickly as possible. "Small businesses are important contributors to California’s economy," said Caltrans Director Will Kempton. "I am pleased that we are able to employ them to help the state recover from these fires." The other certified small businesses include Pacific Restoration, which will perform erosion control around State Routes 76 and 78 and Interstate 15 in San Diego County. Diversified Landscape will do the same in Orange County. Their work will include hydro-seeding to regenerate vegetation on hillsides, before the rainy season begins. The roots of plants help to hold soil in place and prevent erosion and mudslides. Union Engineering will clear drains and remove debris from the fires in Ventura County. Due to the State of Emergency declared by Governor Schwarzenegger on October 21, the Federal Highway Administration (FHWA) is likely to reimburse nearly 100 percent of the cost of this fire-related work. The FHWA has been on-scene, responsive, and helpful throughout these fire events. Executive Order S-02, issued by the Governor, requires all state agencies to dedicate 25 percent of all procurement dollars to certified small businesses. By awarding 45 percent of $17.05 million in emergency contracts to small businesses, Caltrans is following the Governor’s direction as embodied in the Executive Order. SAN FRANCISCO - The Department of Public Works is mending a tattered relationship with Asian American contractors. Dr. Fred Abadi told fifty Asian American Contractors Association dinner guests that his "major responsibility" is to change the culture of his department, after bids had declined for Department work in recent years. City departments, like public libraries, resorted to begging contractors to bid on their projects. "It will require us to think of you not as the enemy, but as a partner," said Abadi. The city must allow contractors to earn a living and create a "competitive environment where it brings the costs down and improves quality overall," he said. The department handles construction projects worth billions, including $105 million in library construction or $600 million to replace SF General Hospital. After contractor complaints to Mayor Gavin Newsom, City Attorney Dennis Herrera and City Administrator Ed Lee, subcommittees were created to implement plans in nine areas, such as prompt payment to contractors and handling change orders. Abadi called city change orders "unacceptable." "We don’t know if we are on budget or not," he said. Disputes over change orders delayed payment to contractors. "Many of you are small-time contractors, where having a cash flow is extremely important. And the city has a reputation for not paying on time. â€¦ Not only that, you have to produce a lot of paperwork to get paid," he said. Contractors also balked at the Office of Labor Standards Enforcement. "We cannot and should not be focusing on a single group of contractors, and we need to be consistent and treat all contractors equally," said Abadi. Russell Snyder, regional manager of the Association of General Contractors, had long warned about "the very awful state of affairs in city contracting." "There are 89 different unique requirements the city imposes on contractors, and you don’t see elsewhere," he said. "What changed? People stopped bidding on the work. â€¦ Prices were going through the roof." "If there was a problem with a certain part of the invoice, they would hold up the whole payment. Even if it was minuscule â€¦ you got to pay your vendors, payroll. [A delay] could put your cash flow in topsy-turvy. That is not fair to the business owner." "The most complaints I have heard or experienced are that they’re not paying promptly. Small contractors especially rely on progressive payments, so it’s a hardship for the small contractors. Transparency is a major problem. [On seeking a city contract,] I would be very, very cautious." "The changes the city wants to do will only happen if the department leaders and senior management have the authority to force the changes. Once the city attorney’s office gets involved, things will not happen." "Once again, the goals set out by Dr. Abadi are admirable and desired, but the road to reach the streamlined process for the local contractors seems to be set off in the distance." People use the term “diversity” too often these days as a catch-all to include every community of color. But the very principle of diversity should make us aware of and appreciate differences between communities, rather than lump all people together as minorities. California’s Department of Transportation recently commissioned a study of 10,000 construction and engineering contracts and interviews with 18,000 businesses to investigate their own practices of diversity. The results they found were as diverse as they were surprising. Groups that have been traditionally underrepresented still were - including firms owned by women, blacks and Native Americans, as well as most Asian Pacific American enterprises. Overall, the study estimated that 19 percent of state transportation dollars should have been doled out to minority- and women-owned firms. Only 11 percent actually were. But those numbers don’t tell the whole story. Hispanic-owned firms showed great improvement. Some APA firms, those owned by South Asian Americans, were actually overrepresented. Even among those groups underrepresented, the range was huge. African Americans were the most disadvantaged, scoring only 15. Chinese- and Filipino-owned firms fared little better with a score of 31. Instituting an across-the-board policy to hire more minority contractors would not be an improvement, particularly if the same minority contractors ended up being hired over and over, simply to fill artificial quotas. Even worse is the knee-jerk reaction in the other direction to eliminate race-conscious decisions in awarding contracts. That response produced Proposition 209 in California, which instituted a colorblind policy that has resulted in greater and greater disparities between white and Californians of color, in everything from education to health care. In this case, CalTrans is moving in the right direction. They are asking that a small portion of highway funds be used to address the disadvantages faced by blacks, women and certain Asian Pacific American, contractors. What is also needed is aggressive outreach to find more and new qualified contractors in these underrepresented communities. Diversity means being aware of and understanding differences; then using that understanding to bring communities together for a fuller, stronger society. SACRAMENTO, Calif. - The California Department of Transportation has identified Asian Pacific American owned firms as among those underutilized and eligible for $3 billion in federal highway funds. The state transportation agency has submitted a plan seeking a federal waiver to use race-conscious programs to allot 13.5 percent of highway funds for Disadvantaged Business Enterprise (DBE) programs during fiscal year 2008. Half of the 13.5 percent will be race-conscious, while the other half will be race-neutral, pending federal approval. Defined by federal regulations, DBEs are small businesses that are both economically and socially disadvantaged. The study by Denver’s BBC Research and Consulting found that groups who were properly represented included subcontinent Asian Americans (India, Pakistan, Bangladesh, Bhutan, Nepal, Maldives, Sri Lanka) and Latinos. Caltrans efforts were praised, particularly in collecting and tracking data in minority and women firms. “I am really happy to see that Caltrans is making a commitment to go that route,” said Eddy Lau of San Francisco’s Asian American Architects and Engineers. While Caltrans could contract federal highway dollars with limited race-conscious programs, state transportation dollars cannot be used under Proposition 209, a 1996 state constitutional amendment barring the use of race in public contracting. Public comments on the Caltrans DBE goal and methodology will be taken until September 14. For more information: www.dot.ca.gov/hq/bep. The California Department of Transportation (Caltrans) must implement the Federal Disadvantaged Business Enterprise (DBE) Program in order to receive U.S. Department of Transportation (USDOT) funds. Recent legal decisions and guidance from USDOT have led Caltrans to reexamine how it implements the Program. As a result, Caltrans is conducting a Disparity Study that will serve to assist Caltrans and local governments in implementing their DBE Programs in accordance with 49 Code of Federal Regulations (CFR) Part 26, and the Federal DBE Program. The Study includes an analysis of the experiences of vendors and contractors with Caltrans and local agencies in connection with Caltrans’ implementation of their DBE Program, and involves an analysis of whether or not there is evidence of discrimination or its effects in the transportation contracting industry in California. You have been identified as an industry association and community leader and are invited to attend a Disparity Study Industry Forum to offer accounts of experiences and incidents by vendors and contractors in the California public transportation contracting industry, many of whom may be members of the organization you represent. Whether or not there is a level playing field for firms in access to capital, bonding and insurance. If you are unable to personally attend a public hearing to provide us your testimony, you may submit it electronically to Robert_Padilla@dot.ca.gov or by US mail to: Caltrans Office of Civil Rights, 1823 14th Street, Sacramento, CA 95814 Attention: Robert Padilla. In the meantime, should you have any questions, please feel free to contact me at (916) 324-0552 or by e-mail at . The California Department of Transportation (Caltrans) is conducting an Availability and Disparity Study. The Study will serve to assist Caltrans and local governments in implementing their DBE Programs in accordance with 49 Code of Federal Regulations (CFR) Part 26. A Disparity Study Interim Report has been prepared and will appear on the Department’s website at http://www.dot.ca.gov/hq/bep/. The final Study is expected to be completed June 30, 2007. The Study includes an analysis of the experiences of vendors and contractors with Caltrans and local agencies in connection with implementation of their DBE Program, and involves an analysis of whether or not there is evidence of discrimination or its effects in the transportation contracting industry in California. The California transportation contracting industry includes contracts funded by the Federal Highway Administration (FHWA) and Federal Transit Administration (FTA) and administered by Caltrans and local agencies as a primary recipient and sub-recipient of FHWA and FTA funds. Stockton: 1976 Charter Way, Room #56/71, Stockton, CA from 3:00 - 7:00 pm; contact Germaine Gordon at (209) 941-1923. Eureka: 1656 Union Street, Eureka, CA from 3:00 - 7:00 pm; contact Brenda Bowie at (707) 441-5814. San Bernardino: 655 West 2nd Street, Room # 201, San Bernardino, CA from 3:00 - 7:00 pm; contact Rhody Soria at (909) 383-4285. San Diego: 4050 Taylor Street, San Diego, CA from 3:30 - 7:30 pm; contact Nellie Richardson at (619) 220-7343. Sacramento: 1020 O Street, Auditorium, Sacramento, CA from 3:00 - 7:00 pm; contact Evelyn Dodson at (530) 741-4354 or Delores Rogers-Phillips (916) 324-0987. Fresno: 2015 E. Shields, Yosemite Room #145, Fresno, CA from 3:00-7:00 pm; contact Pam Gentleman at (559) 445-6925. Oakland: 111 Grand Avenue, Oakland, CA from 3:00 - 7:00 pm; contact Ruby Louie at (510) 286-5898. Bishop: 500 South Main Street, Room 305, Coffee Room, Bishop, CA from 3:00 - 7:00 pm, contact Suzi Carter at (760) 872-0719. San Luis Obispo: 50 Higuera Street, Cypress Room, San Luis Obispo, CA from 3:00 - 7:00 pm; contact Gillian McCallum at (805) 549-3037. Los Angeles: 100 So. Main Street, Los Angeles, CA from 1:00 - 4:00 pm; contact Norma Dorsey at (213) 897-6107. Irvine: 3347 Michelson Drive 1st Floor, Room C1-165, Irvine, CA from 3:00 - 7:00 pm; contact Norma Quezada at (949) 724-2344. Redding: 4300 Caterpillar Road, Redding, CA from 3:00 - 7:00 pm; contact Rebecca Selby at (530) 225-3529. San Jose: Santa Clara Valley Transportation Authority Auditorium, 3331 North First Street, Building A, San Jose, CA from 3:00 - 7:00 pm; contact Ruby Louie at (510) 286-5898. If you are unable to attend a public hearing to provide Caltrans your testimony, you may submit it electronically to Robert_Padilla@dot.ca.gov; or by US mail to: Caltrans Office of Civil Rights, 1823 14th Street, Sacramento, CA 95814 Attention: Robert Padilla no later than April 20, 2007. For more information on the Availability and Disparity Study, contact Robert Padilla, Disparity Study Project Manager at (916) 324-0552 or Robert_Padilla@dot.ca.gov. Current information from the census dept.